Cyprus is a member of the European Union and is located in the Eastern Mediterranean Sea. Its population, mostly Greek Cypriots, was estimated at 780,133 in July 2005. Life expectancy is 75.3 years for men and 80.4 years for women. The crude death rate is at 6.9 persons per 1000 of the population and the infant mortality rate is 4.9 deaths per 1000 of the population. Cyprus prioritises its healthcare system and actively promotes preventive medicine. The healthcare system is trusted not only by local residents, but also by other foreign nationals who come to Cyprus for health reasons. 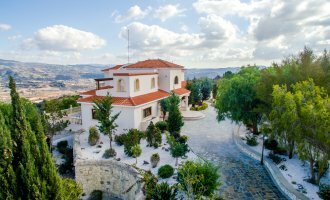 There are a number of expatriates currently living in Cyprus; these include people from the UK, Thailand, the Philippines, Sri Lanka and Poland. Many of the medical professionals are trained in the United Kingdom. Healthcare in Cyprus is of a high standard, which is recognized by the World Health Organization to be on a par with developed countries. To illustrate this, foreign nationals entering Cyprus are not required to undergo any vaccinations because incidents of infectious diseases and epidemics throughout the country are low in number. Food and water safety are also strictly monitored by the Medical and Public Health Services Department. Government hospitals are located in all the major cities. Smaller government-run hospitals and clinics are present in other areas of the country. There are also a number of private hospitals throughout the country. Healthcare is generally inexpensive. Medical services are provided by three sectors: the government, the private sector, and several other schemes covering certain sections of the population. State hospitals offer free services while private health insurance is also popular. Emergency treatment is provided free of charge but subsequent in and out-patient treatments have to be paid by “unqualified” persons. Examples of people who qualify (and therefore do not have to pay) are single individuals who have incomes of less than €15,000 per annum or families with incomes less than €30,000 per annum. European Union nationals on temporary residency, under certain conditions, can also claim free medical benefits in government hospitals. Anyone working in Cyprus, regardless of nationality or residency, must register for social insurance with the District Labour Office. The District Labour Office will in turn issue a medical card. There are two kinds of medical cards issued depending on the income status of an individual or a family. The first is the medical card ‘A’, which provides free medical benefits. In order to be eligible for this card an individual should have a maximum annual income of €15,000. It is also issued to families with a maximum annual income of €30,000, if there are no dependents. Maximum income requirements are adjusted by €1,700 for each additional child. The other card is the medical card ‘B’, which provides partial payments for medical services and medicines. It is issued to individuals, without dependents, with an annual income of between €15,000 and €20,000. Medical card ‘B’ is also issued to families with three children that have an average annual income of between €30,000 and €37,000. People with income beyond the specified amounts required by the two cards will have to pay €12 for a medical consultation and around €85 per day for in-patient hospital care. European Union nationals who paid social insurance in their home countries for a certain minimum period will be given free health access, but this will only be for a limited period of time. There are two special health schemes which are extended to employed foreign nationals contributing to Cyprus’ social security. The first is the provision of primary healthcare through an assistance extended by trade unions to employed persons and their dependents. The other is the provision of free medical care in public health facilities directly sponsored by the employer. The Cypriot government is also very active in launching campaigns and initiating activities on preventive medicine. Such services include health awareness, immunizations, proper disposal of sewage and waste, strict control on drinking water and food quality, and control of potential epidemics and infectious diseases. Foreign nationals who intend to visit Cyprus, either on a short or long-term basis, may not qualify for social healthcare insurance. Therefore, it is advised that visitors avail of private health insurance during their stay in Cyprus. There are many benefits to having private health insurance. For example, it offers faster health services due to the wider selection of healthcare personnel and facilities at your disposal; unlike public health insurance where the waiting lists are long. The Cypriot government gives high priority to improving its health policy. A National Health System (NHS) was enacted into law by the House of Representatives on 20th April 2001. It addresses the concerns in relation to the fragmentation of services, the lack of coordination among the private and public health sector and lack of equitable financing. Moreover, the Cypriot government is expecting that a growing number of its elderly population will require new services. This is being addressed through the provision of commercial incentives to bring about, and rapidly disseminate, technology advances in the form of equipment and/or pharmaceuticals. Tsangarides Estates Ltd is a leading land and building developing company established in Cyprus since 1994. 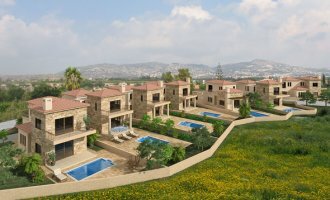 The company is aiming at selecting the finest locations in Paphos town, suburbs and region to build up..